Australian Society of Authors Chair, Sophie Masson, herself an exceptionally prolific and successful author, offers inspiration to those seeking to publish on-line (with excellent help from ASA). 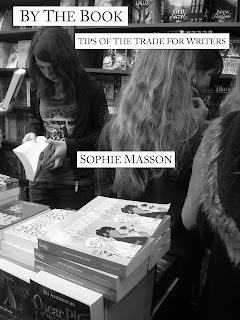 In late February 2013, my eBook on authorship, By the Book: Tips of the Trade for Writers, was the first member eBook to become available for purchase in the Australian Society of Authors' exciting new initiative: Authors Unlimited. A collection of practical pieces on all kinds of aspects of writing, which have been previously published individually on various blogs - especially the international authorship blog Writer Unboxed www.writerunboxed.com for which I've been writing for several years - By the Book is both a fabulous way to "monetize" work I'd not been paid for and to gain new readers in Australia and worldwide within the non-fiction reference field on authorship. This is a first publication and release for By the Book. It's not for sale anywhere else yet and I don't intend it to be for some time. I plan to upload it to Amazon, Kobo, etc at a later date. As Chair of the ASA, a committed member and as an author, I felt it was really important that this book go first to Authors Unlimited. With its author-friendly contractual terms (link: https://www.asauthors.org), AU is also a shining example to the industry. For instance, not only is the 'cut' for the author much greater than on other e-tailing sites, the non-exclusive contract also means you can also sell the eBook on whatever other e-tailing platforms you want. And, importantly, not only has it made commercialization simple, but I also found straight away that discoverability - that great hurdle in actually selling eBooks - is much improved by release on Authors Unlimited, compared to say, Amazon or Kobo, as I found with The Great Deep and Other Tales of the Uncanny, the first e-book I put together for my Sixteen Press list, at the end of 2012 (it's also now available on Authors Unlimited). 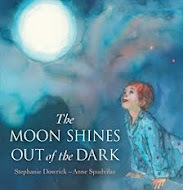 On the very first day of the release of By the Book, several copies sold immediately, which had certainly not been the case with the earlier book. An article I wrote in the ASA March newsletter about the book's journey to Authors Unlimited also drew the attention of more people to the new release. And that momentum has kept building as more people read about the book—and what Authors Unlimited can do for authors - on various authorship sites and online magazines. An advertisement on Writer Unboxed, where I already have a profile, was also a useful conduit for potential international buyers discovering the book and I'm continuing to explore more avenues. Then why, you may ask, did I venture into these waters at all? 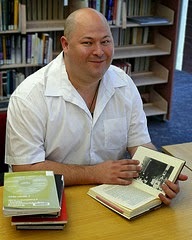 After all, I'm a very well-established author, with more than fifty books published. I have good relations with my publishers and intend to keep it that way. However, there had long been things I wanted to do with the hundreds of short pieces I'd written, both non-fiction and fiction that had been published individually over the years, but never collected together. And I knew no commercial publisher was likely to be interested. So late last year, after attending an excellent ASA workshop on e-book creation, facilitated by Simon Groth of if: Book Centre, I launched myself into my own micro-publishing venture, Sixteen Press, www.sixteenpress.wordpress.com, with the objective of publishing carefully themed collections. They would fit in well with the rest of my published works by not being in competition to them—and thereby not irritating my publishers!--but extending my possibilities at the same time. Very importantly, they had also passed the editing and readership test, as every piece had been professionally edited and published in anthologies, magazines, newspapers, and blogs where I was a guest contributor (in that case, edited by the blog owners). The importance of editing simply cannot be overstated. It is an indispensable part of 'quality control' - and that applies to highly-experienced writers as well as to 'newbies'. 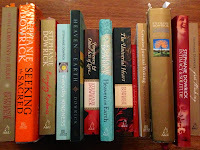 On with the journey: for a very affordable fee I registered as a publisher and bought a block of 10 ISBNs from Thorpe Bowker http://www.thorpe.com.au/en-AU. If you sell on Amazon only, you don't need an ISBN but I most certainly did not want to be limited to that behemoth! PressBooks made the internal design of books easy to handle. For the covers, I decided I'd use my own images to avoid any copyright problems. I went for black and white photographs, both for their striking simplicity and the fact that black and white looks good on just about every kind of e-reader and screen. An illustrator/designer friend, David Allan, designed the final cover using my picture and text, which gave the covers a nice clean look. That was all the fun part! Then came the slog of making sure the all-important metadata information was in place (PressBooks also makes that much simpler to navigate than it would be otherwise). By way of an ending - and beating the Authors Unlimited drum one more time :) - AU isn't just about selling new publications, it is also designed to give new electronic life to our backlist, rights-reverted titles, even those that aren't digitized yet. Within Authors Unlimited there's a service to transform hard-copy books into digital files for a very reasonable fee. 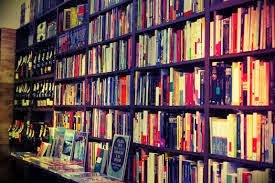 It's potentially one of the most important member services the ASA has ever devised and I thoroughly recommend it to every full member (or those who wish to become members) with new or backlist titles just waiting to be breathed into electronic life. Please note there are two useful links for Authors Unlimited. The SALES LINK takes you to books already published. The INFORMATION LINK takes you to... further information! Sophie also adds this: insight LINK from Publishing Perspectives newsletter for writers and would-be writers seeking greater confidence and clarity about rights and licensing. You can ONLY buy Sophie's By the Book via this SALES link. To buy any other book - those we recommend and any others - please make use of our bookstore links above right. The small % of sales returned to us is vital support for this Book Club. We also love to hear from you! Your comments add much to these conversations. So don't hesitate to add your thoughts below - use "Anonymous" if you don't have a Google email address. 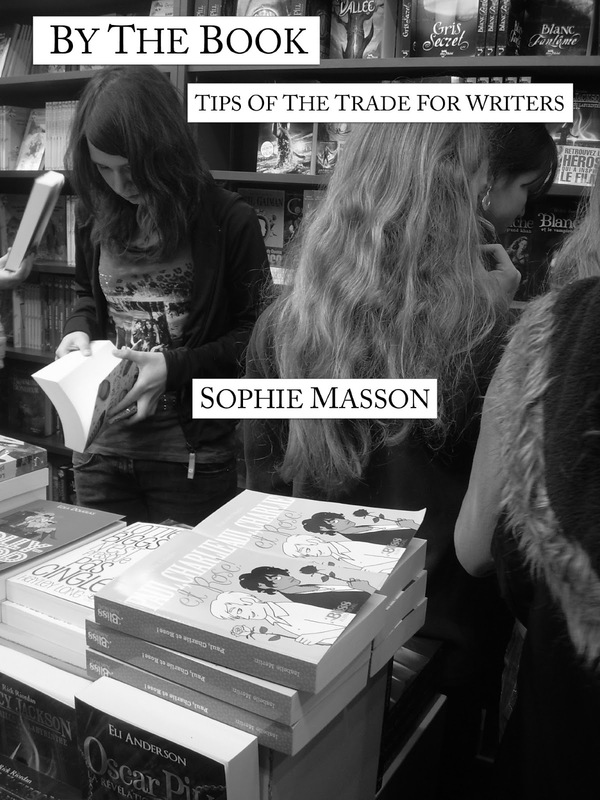 Sophie Masson is the award-winning author of more than fifty novels and many short pieces. Most recent is Scarlet in the Snow (RHA, May 2013). She has also written under the pseudonyms of Isabelle Merlin and Jenna Austen. Sophie loves experimenting with new forms and has used the internet and digital media as part of her creative work for many years. Her Isabelle Merlin novels, for instance, all feature an interactive internet element, which she created herself—character blogs, band pages, social media pages for characters. Her pioneering work in hybridizing print and e-elements was highlighted in an Australia Council report on writers using new media forms. Sophie also makes book trailers for her You Tube channel, blogs at several different outlets, and is a regular user of social media networks. Creating her own e-books was a natural progression! An extremely significant post for all authors. Sophie is innovative but also very practical and her explanation of the process via Authors Unlimited will be invaluable for many creators. Thank you both, Hazel and Isobelle! Yes, Isobelle, you should definitely sell Greylands through AU, it's a really great platform(and you can upload in both epub and mobi versions). Unfortunately am still battling with the IRS for that exemption, they are just abominable in their bureaucracy. i may well give up and just claim the tax paid, through our system! So different to the UK system which is much easier to deal with--there's a form to fill in which you download, fill in and send to ATO here and they send it on to Uk. Why oh why can't the US do the same thing! After all we do have a tax treaty with them just as with the UK.